Until recently, Barcelona was not only the most successful team in European soccer; it was also the most virtuous. UNICEF’s logo was emblazoned on its jerseys. Its coach, Pep Guardiola, won admirers simply for not being Jose Mourinho. In 2011, longtime captain Carlos Puyol let his teammate Eric Abidal, who had been treated for cancer, lift the Champions League trophy at Wembley. But as Barcelona’s dominance has eroded – last season, the team didn’t win a single trophy – the club has gradually surrendered its moral high ground. 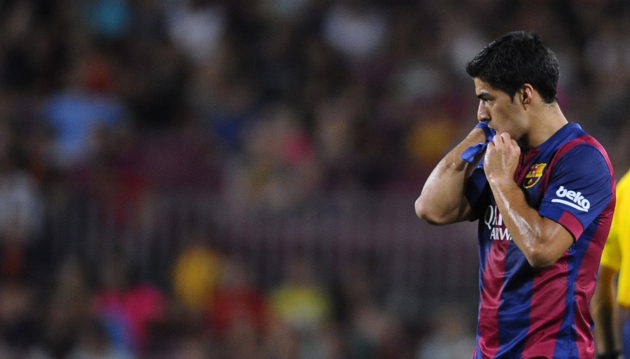 I don’t need to remind you that Luis Suarez made his Barca debut on Monday. Or that a Qatari airline now sponsors the team’s jerseys. Or that Lionel Messi may have committed tax fraud. Earlier today, FIFA upheld the two-year transfer ban it imposed on Barcelona in April. Apparently, while we reveled in the talents of homegrown stars like Xavi and Iniesta, Barca was illegally importing underage players to its academy. I am thoroughly disillusioned. Earlier today, Bojan Krkic – the all-time leading scorer in Barcelona’s vaunted youth academy, the wunderkind who used to play alongside Lionel Messi – signed for Stoke City. 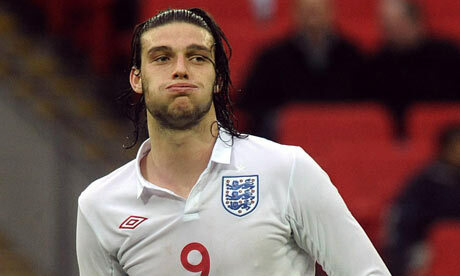 “Anyone who knows European football will be aware of him as a player,” Stoke manager Mark Hughes said. “The fact that he sees his future at Stoke City is really exciting.” Personally, I think it’s a little depressing that Bojan, whose once-promising career fizzled during his recent stint in Serie A, has ended up at the Britannia Stadium. Stoke is no longer the place where good football goes to die – to be honest, I wish it still were – but it remains a less-than-attractive destination for players who aren’t desperate. Put it this way: I doubt Bojan had even heard of Stoke in the days when he regularly scored goals like this one. I once wasted a few minutes trying to convince some minor acquaintance that the 2010 World Cup final attracted more television viewers than the Super Bowl, and that therefore the World Cup is quantifiably better than the NFL play-offs. The argument approached yes-it-is-no-it-isn’t territory, and the fact that we both walked away more entrenched than ever in our respective positions says a lot about the stubbornness of sports geeks (and about arguments in general). Most serious football fans are totally convinced that the sport they watch and love is superior to every other sport by every conceivable metric, and if you tell them they’re wrong, they get angry and defensive. This is one reason so few football fans are discussing the Great Big Secret of 2012-13: for the first time in a long time, none of the five major European leagues has produced a genuinely exciting title run-in. Earlier this month, Bayern Munich clinched the 2013 Bundesliga. In Spain, Barcelona is only a few games away from yet another trophy. Manchester United is strolling to title #20, and Juventus has surged clear at the summit of Serie A. In Ligue 1, nouveau riche Paris St. Germain is seven points ahead of its closest challenger. It’s La Liga’s winter vacation, and Lionel Messi hasn’t scored a goal in more than two weeks. 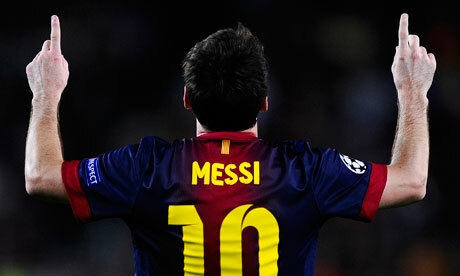 Which, after Messi’s era-defining, award-winning, 91-goal 2012, comes as a bit of a relief. He’s good, but enough already. Messi’s Barcelona is undefeated in the league, and with two Champions League titles, four La Liga championships and the odd Official FIFA Triumph under its belt, the team is arguably (because these things are always arguable) the greatest of modern times. At this point, the ins and outs of Barcelona’s recent history are common knowledge: how homegrown players like Xavi, Iniesta, Fabregas, Puyol, Valdes, Pedro, Busquets and Messi gelled in Barca’s legendary academy; how Zlatan Ibrahimovich, one of the most talented players of his generation, simply couldn’t adjust to Barca’s selfless passing style and eventually fell out with Pep Guardiola (supposedly the nicest man in football, so the joke was definitely on Zlatan); how Spain, a perennial underachiever for most of its history, suddenly became world and European champions, thanks mostly to the same homegrown players (minus Messi) who boarded together as kids. It’s impossible to understand the last five years of football history without first understanding Barcelona. Since 2008, virtually everything that’s happened on the European football scene has happened because of Guardiola-era Barca. Morbo. In the passionate world of Spanish football, where pigs’ heads fly from the stands and clubs take on quasi-political roles in the lives of millions, it is an undefinable source of intrigue which keeps the masses coming back for more. In his book, Phil Ball admits early on to the impossibility of clear translation, but nevertheless places the force at the center of his arguments. 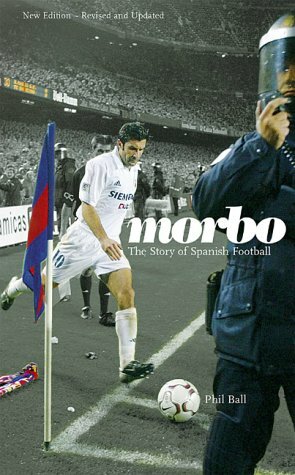 It is morbo, he writes, that is the essence of Spain’s national pastime. Morbo; the self-perpetuating, ever evolving creature which forms the hub of rivalries across the peninsula. This view of the game – through the vitriolic, morbo ridden inter club relationships that make up Spanish professional football – is a novel one indeed. It treats football not so much as a tool for higher political wrangling, but as a phenomenon deserving of appreciation in its own right. An expert in his field, Ball is an authoritative guide, one that understands the context of his subject. While consumption takes an appetite for basic politics, a sense of fun continually pervades; the one that keeps fans interested in football and readers interested in reading. 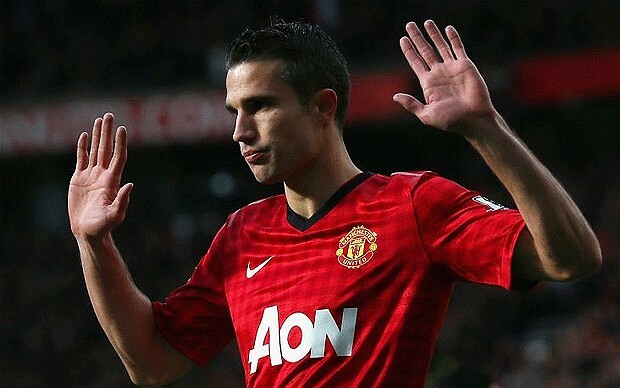 It wasn’t tiki-taka. Geometric precision may have been lacking, but the Premier League’s latest serving beats the rest in spice. As tactical and ideological trends emanating from Catalonia continue to dictate the musings of football’s intelligentsia, the English game remains resolute and stubborn. Never mind the intricate little noises coming from Spain and the revolutionaries in Italy, here we refuse to conform. Here penalties are better in the stands, strikers when they’re missing and artisans whe n flat on their faces. Here the populace care not for immaculate technicians. It is in its parochialism that the Premier League has once again usurped the rest, claimed lost ground in a perpetual battle for perfection. The decline of an overwhelmingly cosmopolitan outpost, coupled with an influx of English talent to the country’s most recent European adventurers has seen the league regain a superiority once considered inherent. The difference is in the drama. 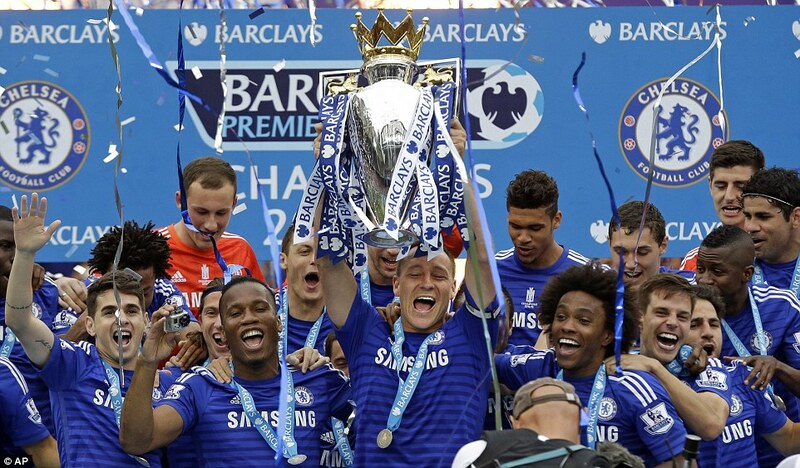 As Tony Evans succinctly put it on Twitter, “football is more poetry than maths.” In search of poetic meaning, hunters had not to look far, the story of Fernando Torres might as well have been penned by Thespis or Aeschylus, such was the distinctness of its tragedy; redemption wiped away by a moment of the utmost horror. 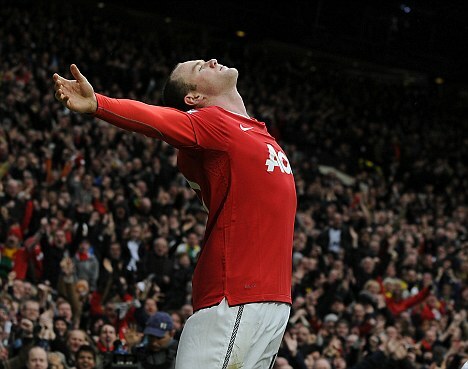 Someone high up there clearly owns a Manchester United scarf.